When connecting DeployBot to a GitHub organization repository it is necessary to enable third-party access to GitHub; by default third-party access is disabled. 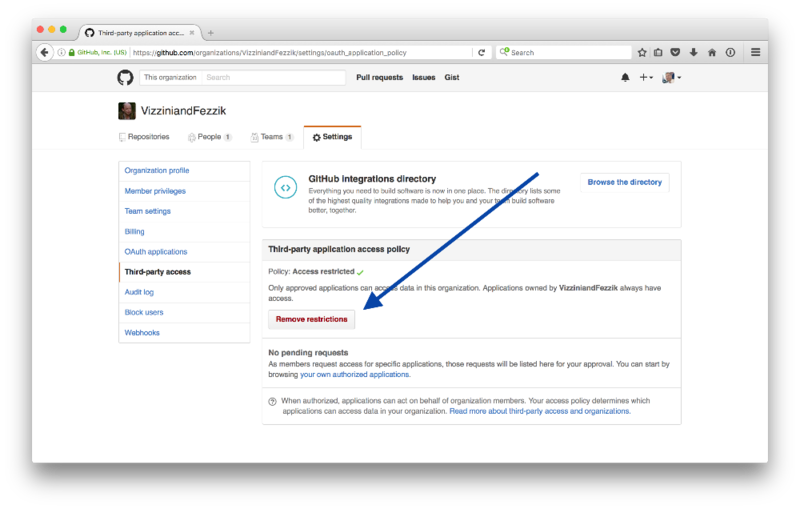 Only a GitHub organization owner has the ability to enable third-party access. To enable DeployBot to access your organization repository, go to your organization homepage in GitHub. Browse to the settings tab for your organization, then choose “Third-party access" from the Settings sidebar. 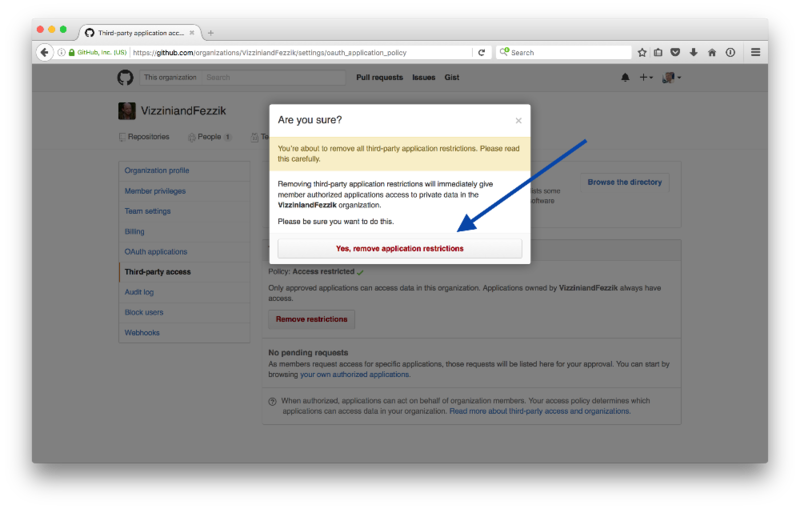 Under “Third-party application access policy”, click the “Remove restrictions” button. A prompt will appear to remove restrictions, click "Yes, remove application restrictions”. DeployBot will now be able to connect to your GitHub organization's repository. If you're having issues getting your GitHub organization repository connected to DeployBot, please don't hesitate to contact our Support team. We are always glad to help.